Searching for a luxury Christmas & New Year touring experience? 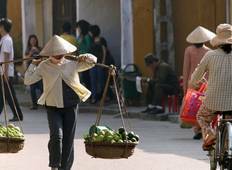 Look no further, as our Luxury tours of Vietnam will allow you to discover exceptional destinations such as Hanoi and Halong Bay. Taste the adventure and discover new cultures while enjoying premium services and facilities. 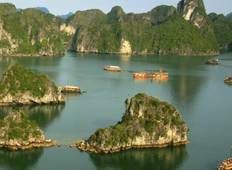 "I give a thumb up to the agent, Jenny who took great care and courtesy in tailoring..."
"Everything about our 10Days Vietnam In Style tour from North to Central was outstanding...."
"My friends and me have a 5D4N trip in Hanoi - Halong Bay through Tourradar with Crossing..."